Lots of big changes made to the sample project and OctoPack Battler today! Let's first start with the Victory Sequence UI. Two changes have been made to the victory UI. The first is that the gauges now fill up smoothly with smaller numbers. During a previous version, if the numbers gained were too small, they would update in only segments. Now, they update based on timing. The second update is now, you can use the mouse button to click the victory UI and advance forward instead of needing to rely on the keyboard for Z or X. 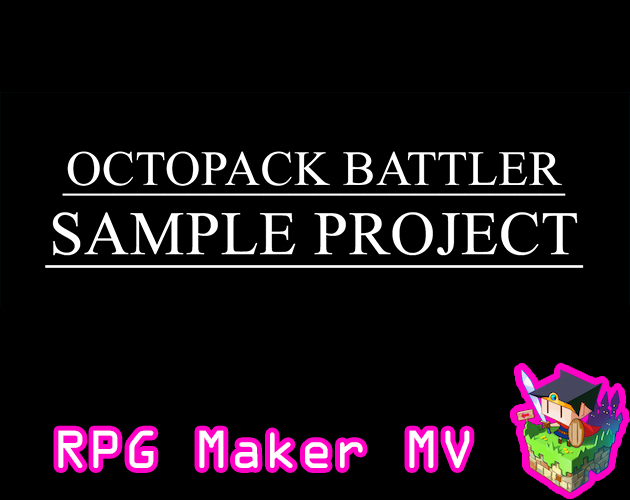 Item Concoctions is added to the OctoPack Battler Sample Project, too! Added to the database are 8 primary concoction components, 8 secondary concoction components, and 64 result effect item combinations that they can result into! 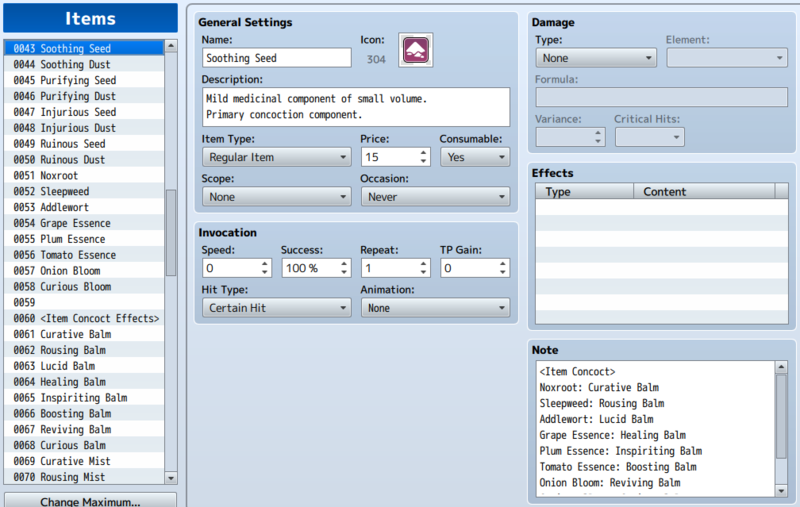 The Apothecary class in the sample project now has the Concoct ability, too. You can buy Concoction components from this new NPC added into the sample project. Take your time exploring the new features!